The world wants to become lazy if you ask me. Technology wants to make things easier but another way to put it is that we want to make minimum amount of effort in exchange for larger results. Pressing a button is hard now and the world wants to move towards the world of ‘touch’. Touch screens are just the beginning. A day may come when robots, planes, cars etc may all be covered with sensors so that they can recognize our commands easily. For this dream to come true scientists must develop a sensor rich robotic skin that will enable it to react to its environment. However, this must be affordable and the manufacturing must be easy. MIT researchers have been looking into this concept for quite a while now and they took inspiration from the golden tortoise beetle. For those who don’t know, this particular insect has the ability to change color when it is poked. If you wish to know more about the project, you can visit MIT’s website where the entire creation process has been discussed. This is just an initial stage of the project and a lot has to be done to fully develop the technology. 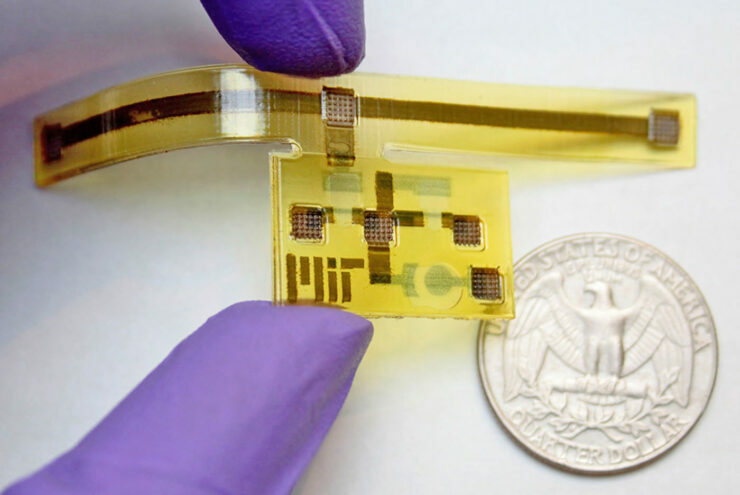 The printable electronic skins have a bright future ahead. They don’t just have a future in the touch screen world but can also give rise to devices with unusual structuring and complex 3-D mechanisms. This particular technology can also increase the world of printable robots that are able to self-assemble. The technology may still be in its early stages but there is no denying its future viability.